The Roshni Fire Alarm Sounder Range is a collection of sounders ideal for use on conventional fire alarm system sounder circuits. This range is available in a variety of colour and backbox options, which mean that they are flexible enough to be used in a wide range of applications and conditions. 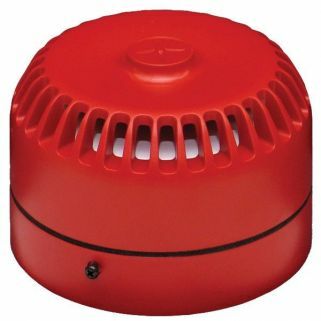 The Fulleon Roshni Fire Alarm Sounder is available in red and white colour variants. There are also versions available with a shallow and deep base. The deep base versions are IP65 rated which means that they are suitable for external use or in areas with a high degree of moisture in the environment. The Fulleon Roshni Sounder has an operating voltage of between 9 and 28V dc. If you’re interested in the Fulleon Roshni Sounders you may also be interested in our fire alarms and fire alarm systems selections.